The Tecno Spark Plus K9 is part of the Tecno Spark Series. The phone was made available in August 2017. You can buy this phone from us for just 13,500/- delivered to you or from our location at Kimathi House, Kimathi Street Nairobi. The Tecno Spark Plus K9 has dual SIM slots that both have access to the fast 4G networks . The colors available are metallic red, phantom black, coral blue and champagne gold. The phone’s design is similar to the iPhone and its body is made of plastic. There’s a fingerprint sensor at the back at the center upper half of the phone. The Tecno Spark Plus K9’s display is a 6 inch screen with a 720 by 1280 pixels resolution. The Tecno Spark Plus K9 screen has 245ppi and 2.5D display that has curves at the edges. The Tecno Spark Plus K9 has a 1.5GHz Octa-core Mediatek processor and 2GB RAM that can run multiple applications without lag. The Tecno Spark Plus K9 runs the HiOS 2.0 that is a customized version of the Android 7.0 Nougat. 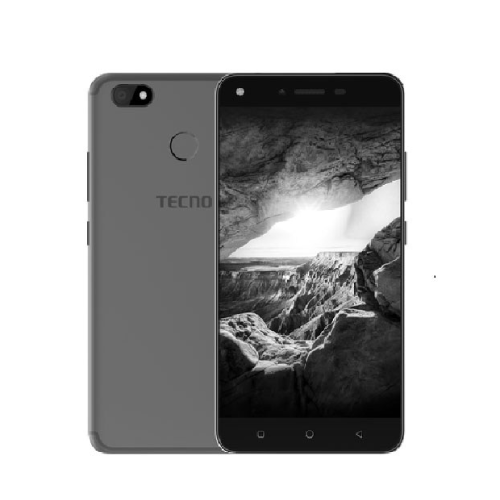 The Tecno Spark Plus K9 has a rear camera of 13MP camera with single LED Flash and a front camera of 5MP with single LED Flash to light up those photos is darker conditions. Both cameras take good quality photos in bright and low light conditions. The handset comes with a 16GB Internal Memory and an expendable SD card storage limited to 32GB. The 3400mAh battery that can power the phone through a day of moderate use. It supports fast charging.